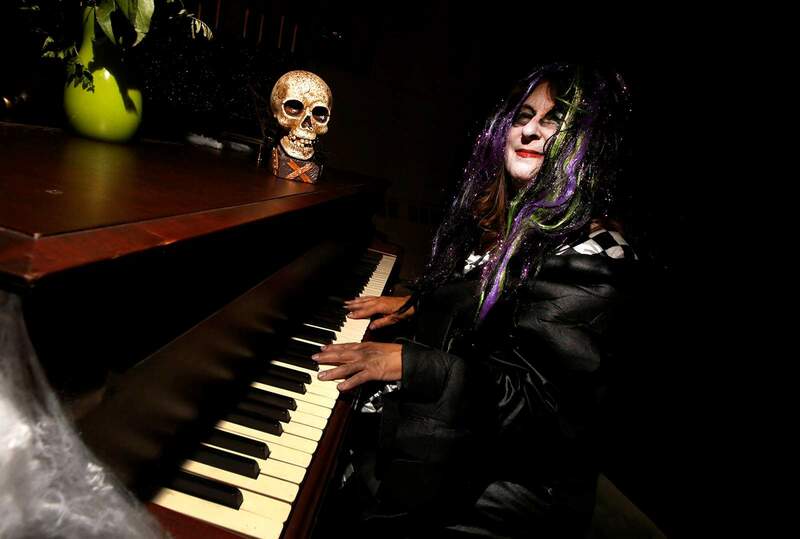 Laura McKinney played creepy music and welcomed people to the Durango Elks Lodge Nightmare on Elk Street, “Childhood Fears,” in 2017. 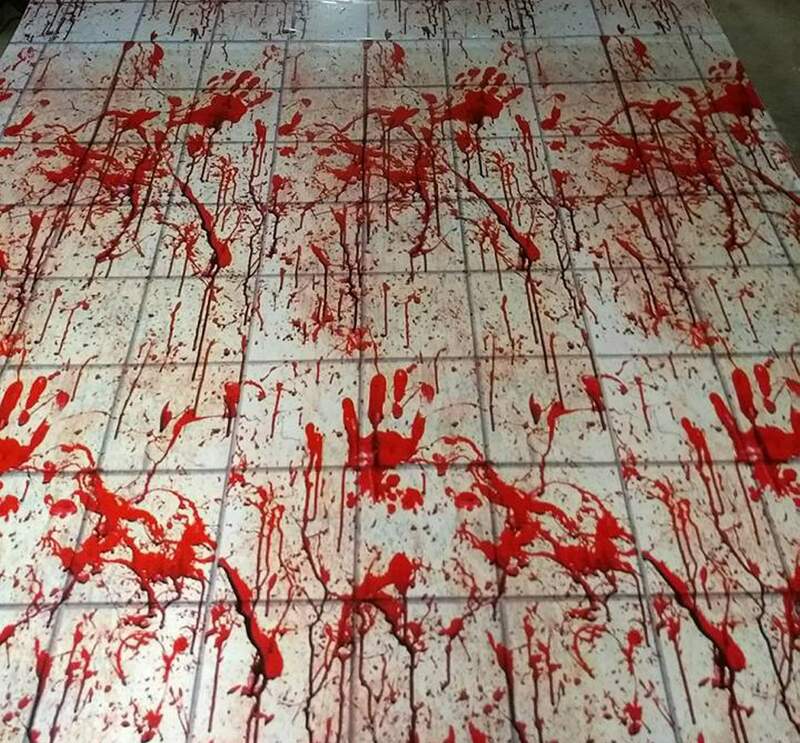 Scream Line Haunts prepares for this year’s Terror Nights in Ignacio. ’Tis the season for all things spooky, and there’s nothing scarier than a good haunted house. Nightmare on Elk StreetNow in its third year, the Durango Elks’ Nightmare on Elk Street will once again pull out all the stops for what is one of its biggest fundraisers of the year. This year’s theme for the haunted house is “Insane Asylum,” and the Elks will transform their building at the corner of Ninth Street and East Second Avenue into the stuff of nightmares. 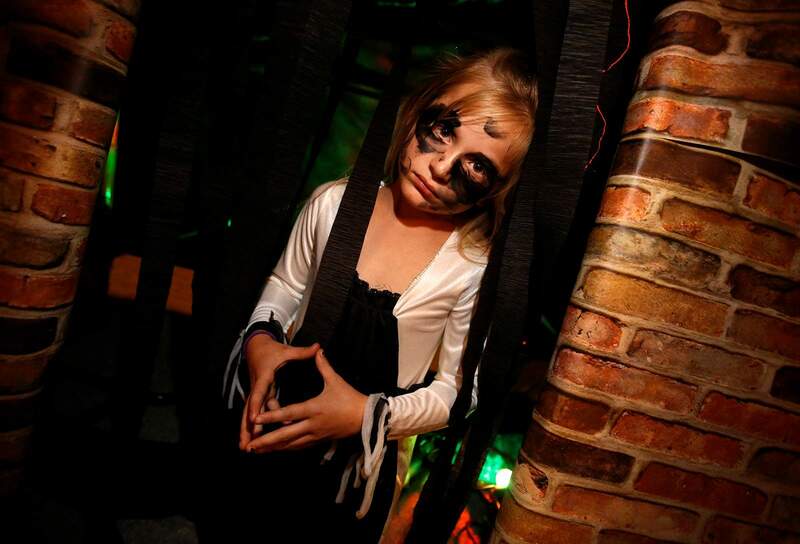 “It’s a pretty old building, so it’s easy to make it even creepier,” said haunted house co-chairwoman Laura McKinney. She said the event has only gotten bigger since its beginning. McKinney said that along with the traditional haunted house, there will also be a children’s version Oct. 27. “If you have a child that gets scared very easily, they need to go to the Saturday show because we hand out candy to the kids and let them walk around and try not to make it scary,” McKinney said. Nightmare on Elk Street will be held from 6 to 10 p.m. Oct. 26, 27 and 31, with the kids’ show at noon Oct. 27. Dr. Skyler’s House of HorrorsFor the past seven years, Fort Lewis College has transformed spaces on campus into rooms of terror. Themes have been a relatively new thing for FLC’s haunted houses, a plan that has proved successful. “People have been really receptive and have enjoyed the themes that we’ve been putting through,” Chang said. This year, Chang said, more than 100 volunteers will be working to put on the two nights of terror. The majority of the proceeds from the event will go to the Four Corners Rainbow Youth Center. It benefits FLC students as well, she said. Dr. Skyler’s House of Horrors will be held from 6 to 10 p.m. Oct. 24 and 25. Terror Nights For those looking for a scare east of Durango, head out to Ignacio’s Terror Nights, brought to life by Southern Colorado Community Action Agency Youth Services with the help of Scream Line Haunts. Joseph Ouellette with Scream Line has been getting the ELHI Community Center ready for five frightening nights that start Oct. 25. “It’s a lot of work, but a lot of fun,” he said, adding that Terror Nights is a really scary haunted house. In fact, children younger than 11 are not allowed in without a parent. “Three, four years ago, we had a father and a daughter go through. At the end, we had a Leatherface with a chainsaw – this was after you’d already walked out and you thought everything was over – and they’re walking down this dark hallway in the back and here comes Leatherface with a chainsaw. The father left the daughter standing there and ran,” he said laughing. “Getting the scares is the fun part,” Ouellette said. Terror Nights will be open from 5 to 10 p.m. Oct. 25, 26, 27, and 28; and 5 to 9 p.m. 31. When: 6 p.m. Oct. 26, 27 and 31; kids’ show noon Oct. 27. Where: Durango Elks Lodge, 901 East Second Ave. When: 5-10 p.m. Oct. 25, 25, 27 and 28; 5-9 p.m. Oct. 31. Where: ELHI Community Center, Shoshone Street, Ignacio. Note: Children younger than 11 must be with a parent. When: 6-10 p.m. Oct. 24 and 25. Where: Student Union Ballroom, Fort Lewis College, 1000 Rim Drive. Tickets: Free for FLC students with ID, $5 for community members; $10 for unlimited pass.